Turn the disjointed space into comfortable family living—with updated style. 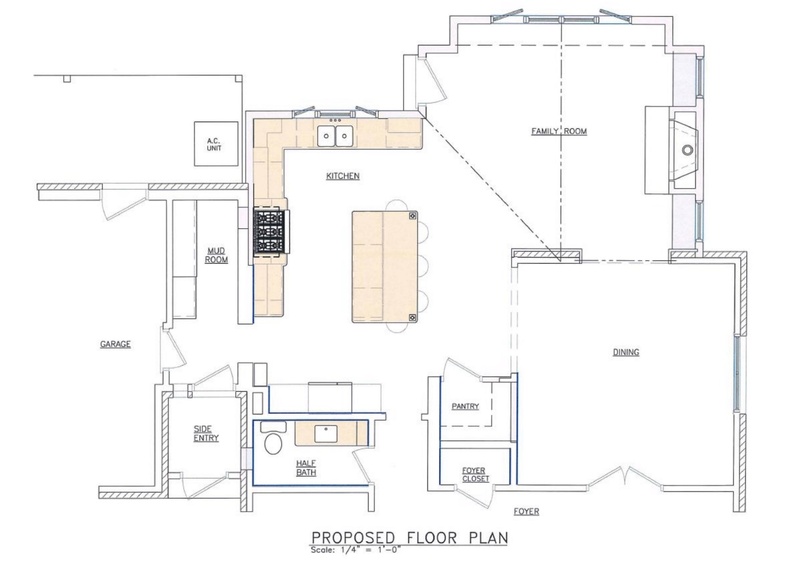 The design challenge: The cramped, choppy kitchen felt separated from the rest of the spacious first floor living area. 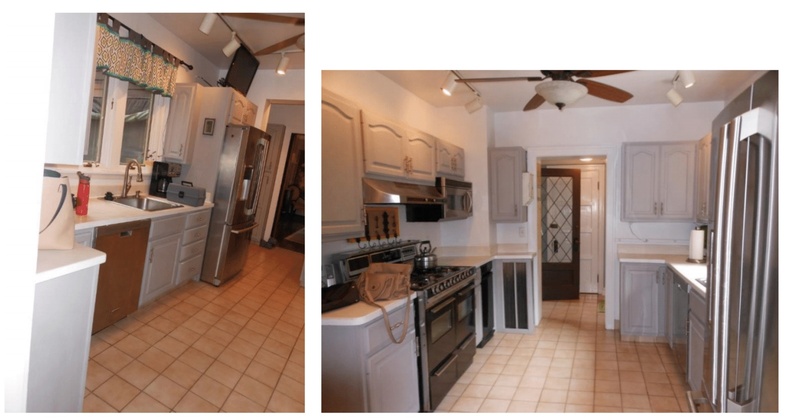 With its galley layout and lack of style and functionality, this tired space begged for a transformation. 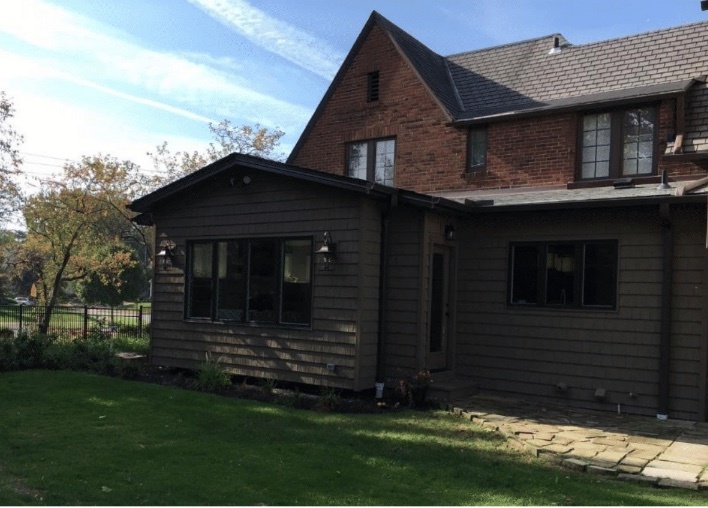 A screened porch off the kitchen offered limited use in the Northeast Ohio climate; and the inefficient mud room and dated half bath needed a major face lift. 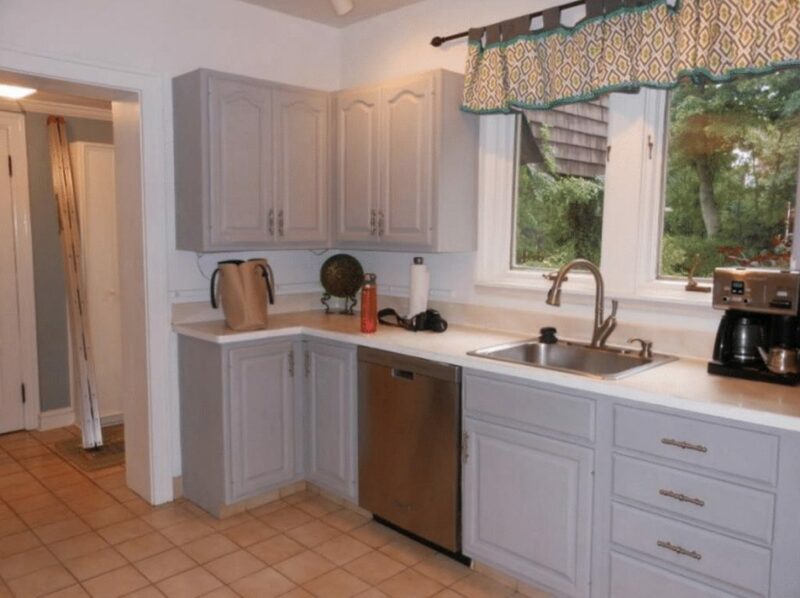 As is the case with many older homes, the dining room (located off the kitchen) was accessed via a small doorway opening, which made it feel closed off. 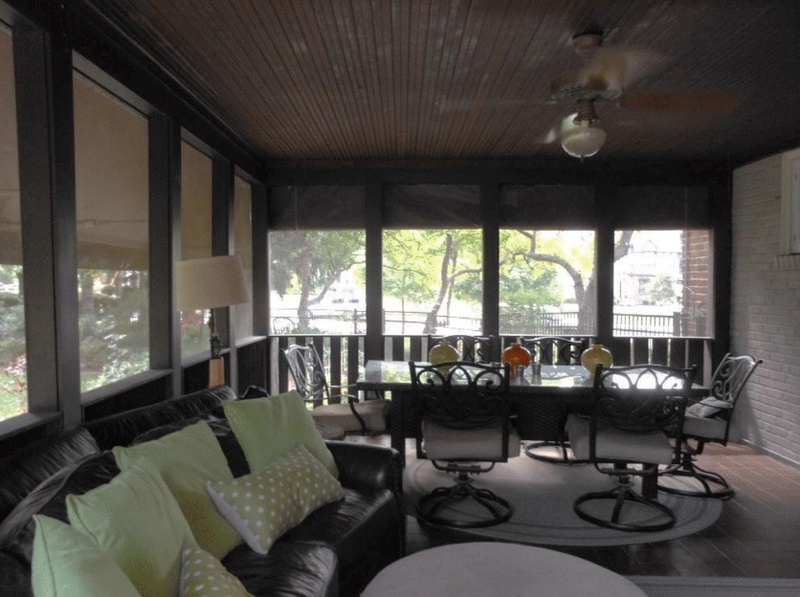 The solution: Adding space to the kitchen and turning a screened porch into living space allowed us to design an open kitchen/family room concept that flows effortlessly with the home’s original living space. Expanding the opening into the dining room brings cohesiveness to the space. And finally, renovations to the existing mud room and half bath completed the total transformation. 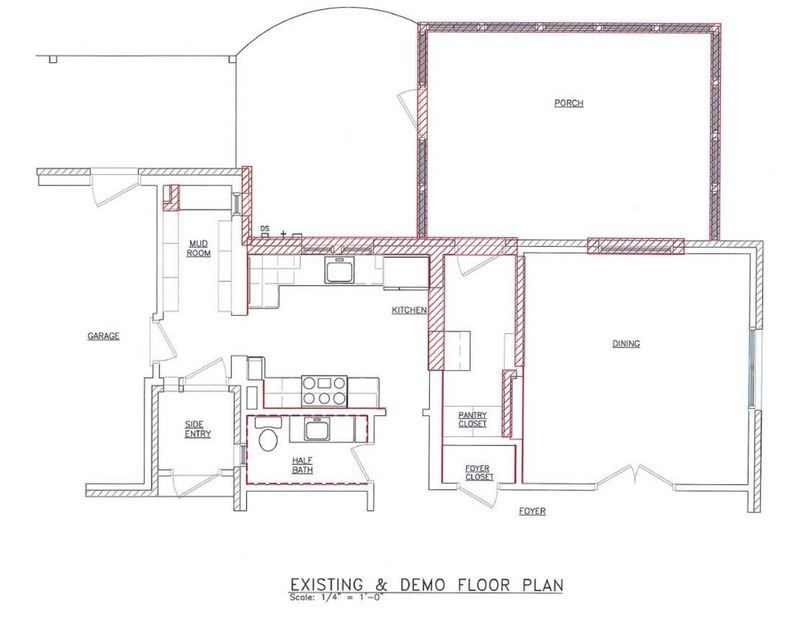 Below is the revised layout and renderings of the proposed new kitchen. The porch roof and walls were removed, but the structurally sound foundation was left in place. New walls were built on the existing foundation and a 2’ x 15’ cantilever was added to increase the square footage for the family room. 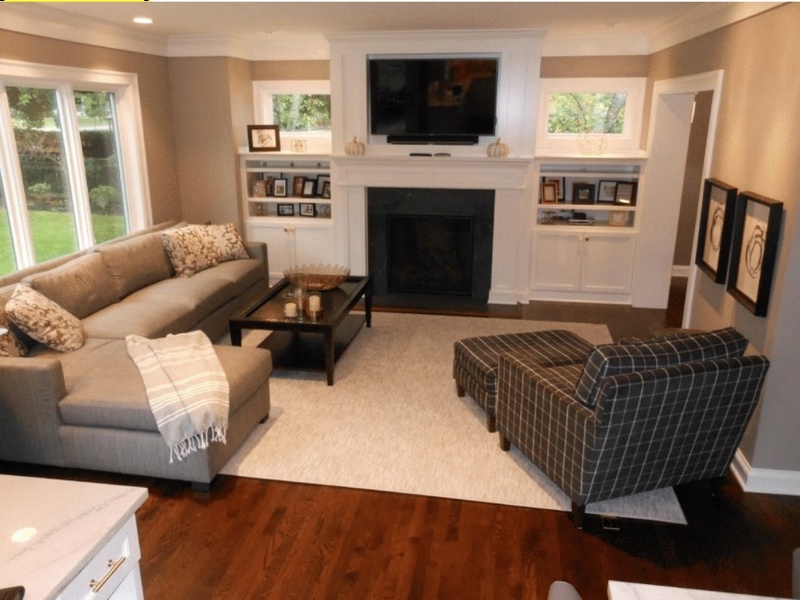 A window wall, fireplace and built-ins complete the new family room. Second floor windows dictated the roof design. 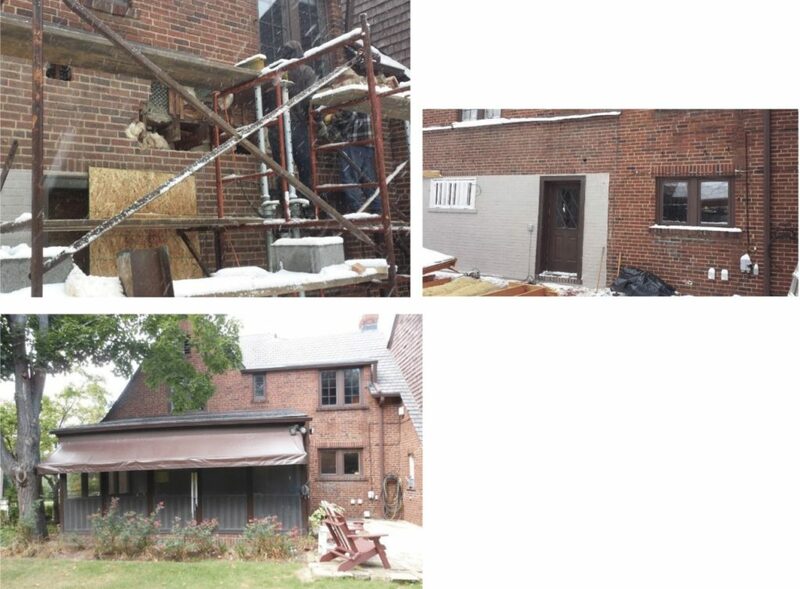 The kitchen’s 17’9” exterior wall was removed and the opening was reinforced with a flush steel I-beam. A 115-square-foot addition to the kitchen ties into the new family room to create the open-concept living space. 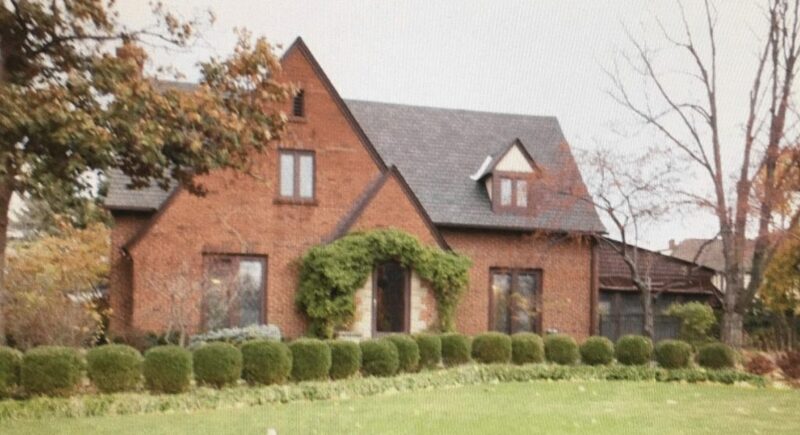 Shake vinyl siding was selected to match other areas of the home. In the next blog, I’ll move into the kitchen.